President Donald Trump gave hope to the terminally ill and their advocates on Tuesday when he said he would change Federal Drug Administration rules to allow access to experimental drugs not yet approved by the agency. "One thing that's always disturbed me: They come up with a new drug for a patient who's terminal, and the FDA says we can't … approve the drug, because we don't want to hurt the patient. But the patient is not going to live more than four weeks, [anyway]. So, we're going to be changing a lot of the rules," Trump said. Trump's announcement was embraced by terminally ill individuals, their loved ones, and advocacy groups interviewed by the Washington Free Beacon. "Terminally ill patients are fortunate to have a compassionate champion in President Trump," said Josh Schisler, founder and president of Freedom of Treatment, in an email. "Americans fighting for their lives don't have decades to wait for the FDA to approve new treatments." Schisler's group began advocating for wider access to experimental drugs in 2013 after his girlfriend died of brain cancer. While doctors did everything possible to extend her life, she was unable to access experimental treatments in the final stages of her life, according to Schisler. "It's obvious there's something that President Trump knows and it shows he's showing compassion," said Missouri state Rep. Jim Neely (R.) in a phone interview. Neely, a physician, sponsored "Right to Try" legislation in Missouri in 2014. For Neely, Right to Try took on a personal meaning. His 40-year-old daughter, Kristina, was diagnosed with stage-four colon cancer. She died without access to experimental drugs because she didn't qualify for clinical trials. "I see phenomenal medications that are working. There was a drug for congestive heart failure five years ago," Neely said. While that drug is now available, it was not available before final FDA approval despite its amazing results. "I'm all in and I applaud President Trump for his proactive action," Neely said. 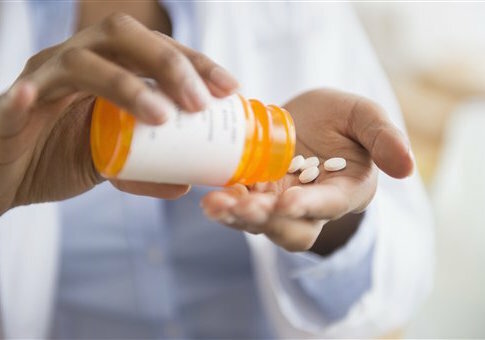 For four years during the Obama administration, the national Right to Try movement has pushed for wider drug access to medications that have shown positive results in clinical trials but have not been approved by the FDA. The movement, led by the conservative Goldwater Institute, resulted in 33 states passing Right to Try laws. Seventeen other states are considering Right to Try bills. "If a drug is approved in another developed country, like the UK or Japan, it should be available to Americans. There are countless examples of drugs that are available and saving lives in Europe, but stuck in the FDA pipeline," said Starlee Coleman, vice president of communications for Goldwater Institute, via email. "There's an ALS therapy that has been in use in Japan for 10 years and is prolonging life and reducing suffering, but Americans can't get it. There are breast cancer drugs that are saving lives in England and American women can't take them," Coleman said. The drug in Japan is one that Matthew Bellina, who has ALS, also known as Lou Gehrig's disease, cannot access. Bellina applauded Trump's announcement, expressing his frustration with the FDA approval process. "President Trump's direction to streamline the FDA is a necessary and long overdue step in fixing a broken system," said Bellina in an email. "It is frustrating that Americans with ALS cannot access this drug," Bellina said. Laura McLinn, whose 7-year-old son Jordan has Duchenne Muscular Dystrophy, said Trump's announcement was the best news she has heard in years. "To hear President Trump talk about the importance of lowering drug costs and helping terminally ill patients access drugs more quickly was probably one of the best things I've heard in two years. And I believe if anyone can make that happen … he can," said McLinn in an email. "It's a good feeling when everything you've worked for for so long is recognized as being important. And for it to be recognized by the president of the United States … wow. He knows it's what the people want and he's made a commitment to see it through," said McLinn. Jordan still does not have access to the drug his family hopes will help him, but he is being screened to receive it in February for a clinical trail, according to McLinn. "While we are obviously elated, there's another part of my heart that is broken. I have so many friends who have sons who are not qualifying for the trial so even though they have had the same hope for many years, they are now finding out that it's too late," McLinn said. "Their sons have declined to the point that they won't make it into the trial. Too much wait time. So unfair and heartbreaking." This entry was posted in Issues and tagged Donald Trump, FDA. Bookmark the permalink.